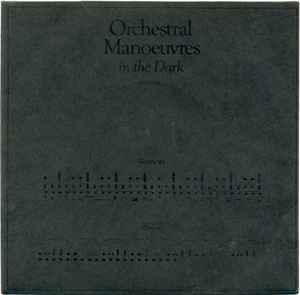 This single was previously released in May, 1979 on Factory Records (FAC 6). "Electricity" on that version was produced by Paul Collister and OMD, while "Almost" was produced by Factory producer Martin Hannett. The first edition of this Dindisc version - released in September, 1979 - had both tracks produced by Martin Hannett (under the name Martin Zero). A second edition of the Dindisc version came out in April, 1980, with both tracks replaced by versions produced by Chester Valentino and OMD.